As most people are, I have a very diverse style. One day I may paint mother nature, only to sketch the bird’s eye view an apartment. Yesterday, I drew a self portrait in graphic novel style. I also use a vast array of mediums. For now, as I have limited space with which to post, I’ll only post pen sketches with nothing whatsoever to do with one another. 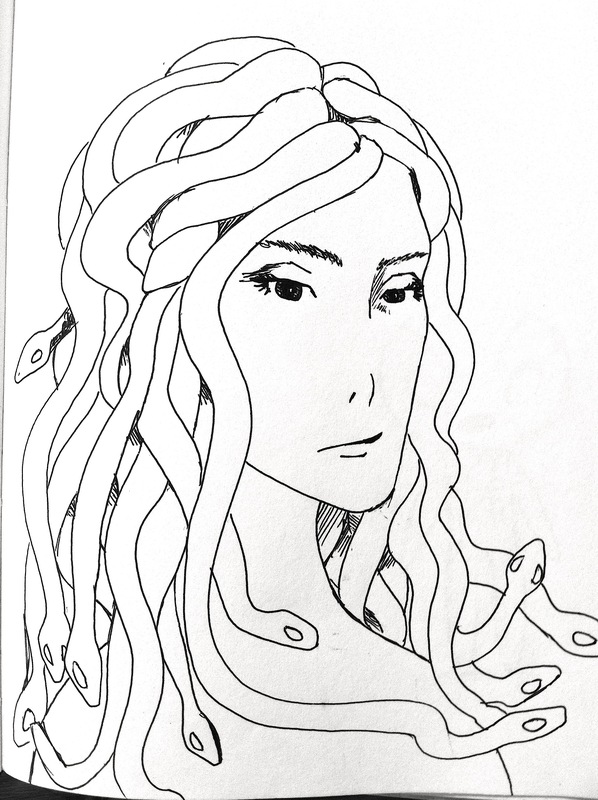 This is my latest take on Medusa. For some reason, she is one of my favorite mythological characters. I have drawn her many times. I am not sure whether or not this drawing is finished. 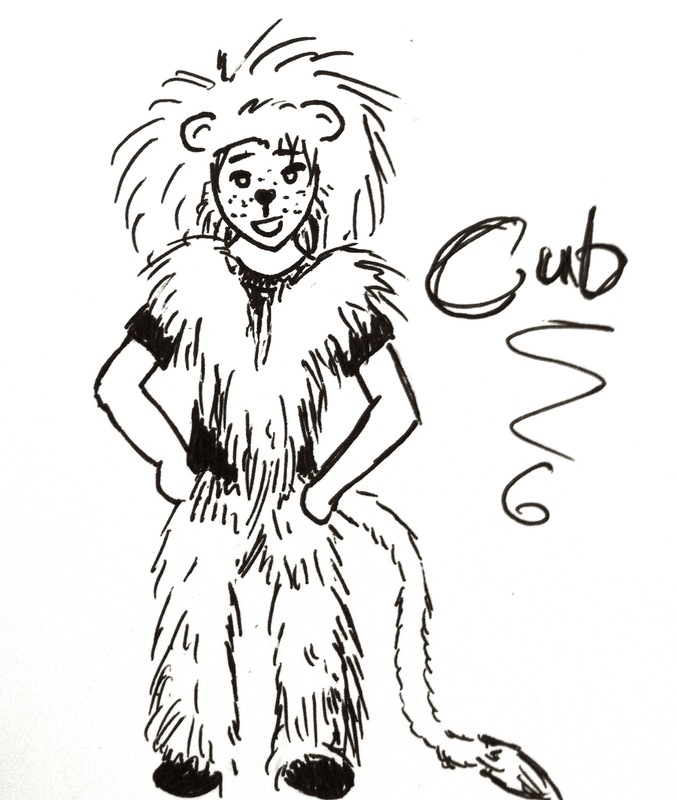 Cub. I haven’t much to say about this little guy. He’s dressed as a lion because he feels the world should see what he is on the inside. This is an eye. If you know me you know that I love eyes. I couldn’t make a random pen series without adding an eye or two. No introduction needed. 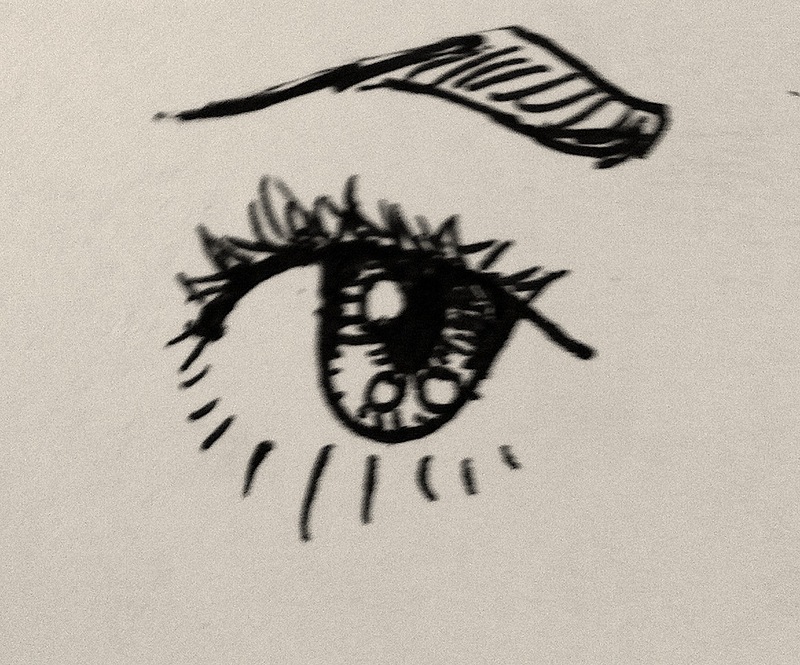 This is an eye. 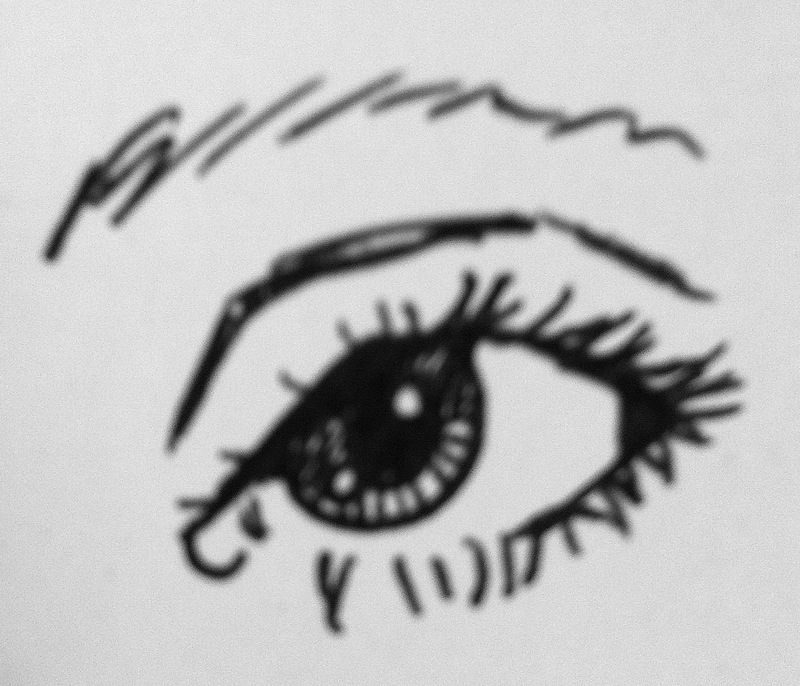 However, I think this is more emotional of an eye than the previous one. So there’s your introduction. 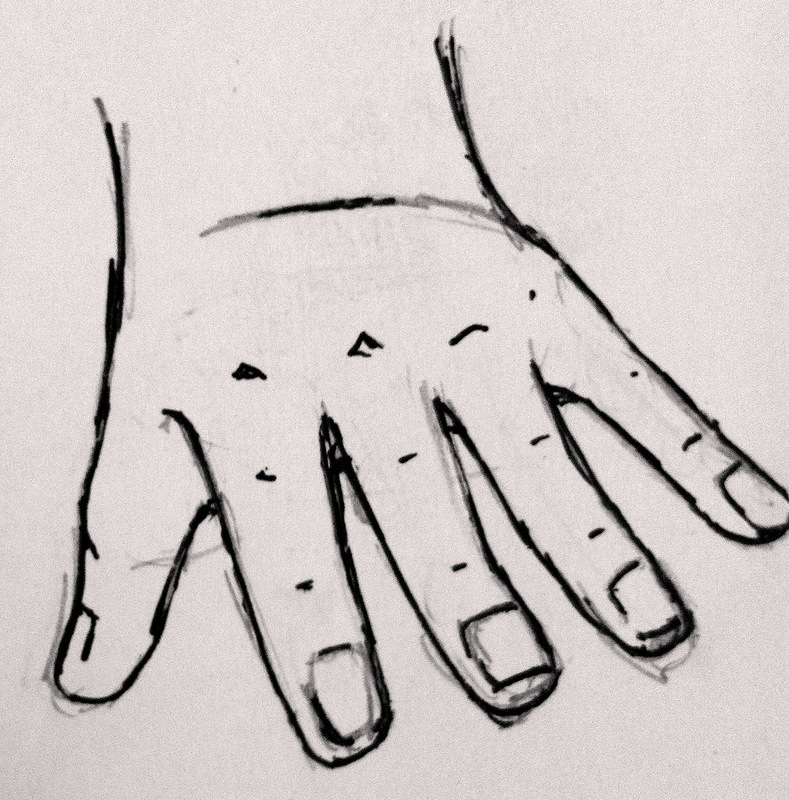 Hands are literally the hardest things you could possibly set out to draw- except for, maybe, feet. Not much to say about this face. 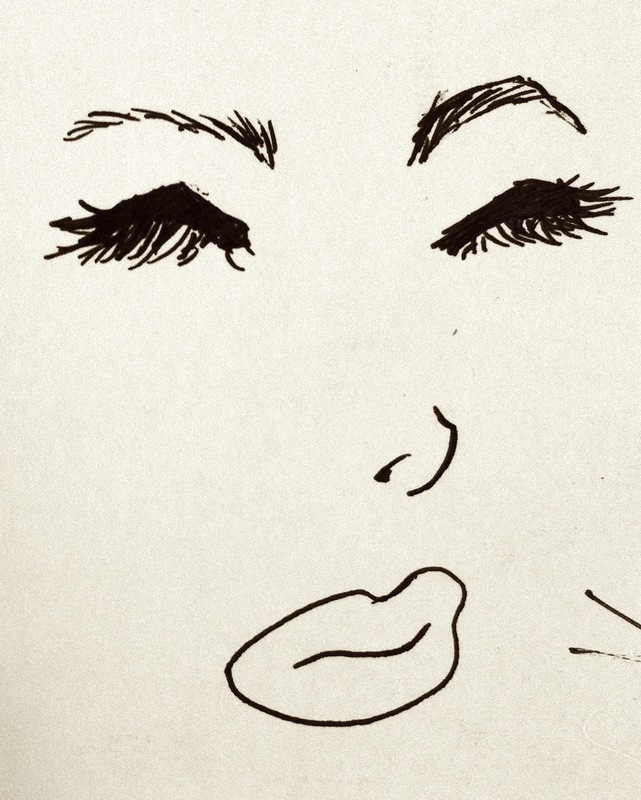 the lips were hard to draw, especially without a penciled-out guide. Oh, and I should have been doing my Math homework instead of drawing. 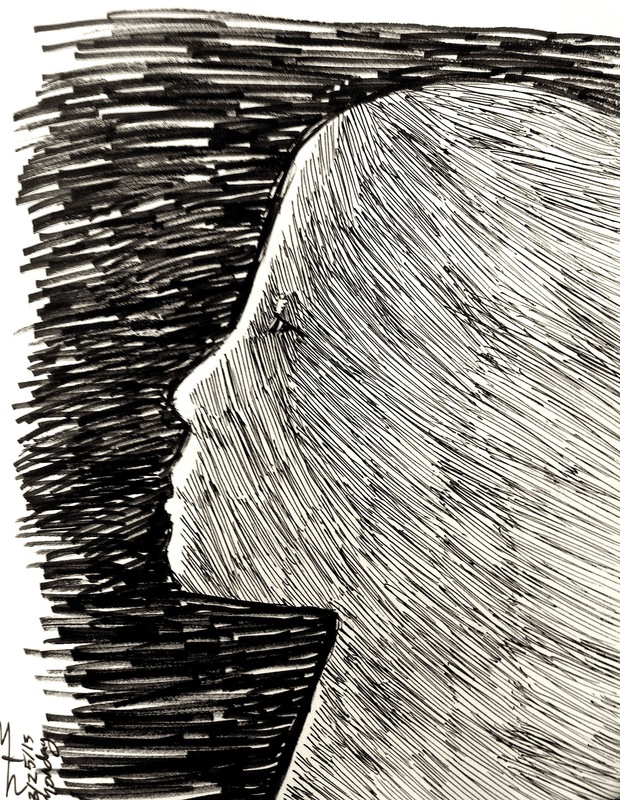 This entry was posted in Art and tagged art, drawings, miscellaneous, mythological characters, obsession, Pen, pen sketches, Sketches, unrelated. Bookmark the permalink.